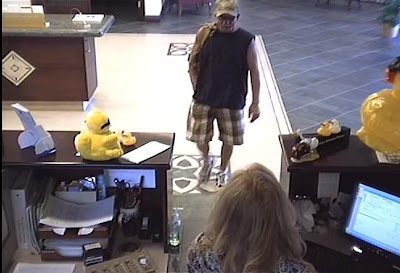 MELBOURNE, Florida -- The Melbourne Police Department announced today that they have made an arrest in connection with a bank robbery that occurred on April 10th. At 10:48 a.m. today, Melbourne Police detectives spotted Steven Biest riding a bicycle in the area of NASA Boulevard and Hickory Street in Melbourne, Florida. An arrest warrant existed for Biest for the armed robbery of a Florida Business Bank located at 340 North Harbor City Boulevard. 54-year-old Biest was taken into custody without incident. 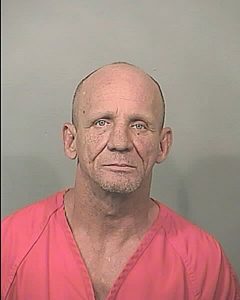 Police say that he is currently being questioned by detectives and will be taken to the Brevard County Jail. 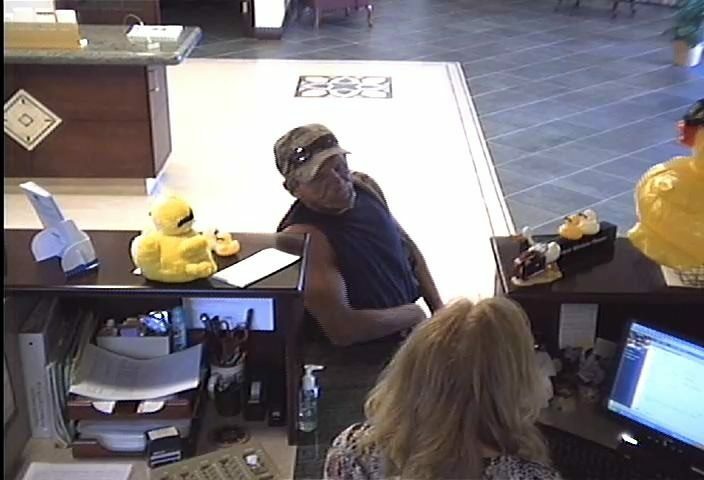 Last Wednesday, a white male in his late 40's to early 50's entered the bank and approached a teller. When contact was made, he drew a firearm from his pants and demanded money. At that point, the teller complied and placed a sum of cash on the counter. As the suspect retrieved the money, he placed his gun on the counter. Without hesitation, the teller took the gun from the counter and out of the suspect’s reach. The man then stuffed the money into his bag, described as a tan military-style backpack, and fled the area. The bandit was last seen leaving the robbery northbound on Babcock Street from Circle Avenue on a light-colored bike. The Melbourne Police Department Criminal Investigations Division is currently investigating this case and is requesting the public’s help in identifying the suspect.